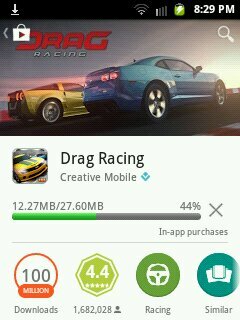 We've had a lot of reports come in from players that they can't download Drag Racing. We're aware of the issue and unfortunately it's going to take some fixing because we have to get Google Play involved. Thank you for this version Sir. for now I can download a new version,.